To use it, just copy the executable on any removable media. Launch it and provide the password for the software on first run only. Remember this password well because once you forget it, there are no way you can retrieve your confidential data stored on SerCrypt. 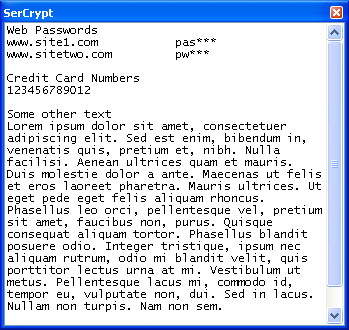 SerCrypt works on Windows including Windows 7. The exe file is about 30KB only.